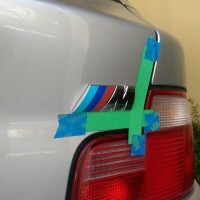 This how-to guide was written and published by Derek “Vinci” of Bimmerforums.com. I found it very helpful in removing my transmission during my E46 6-speed swap. Since websites can come and go, I wanted to make a copy of it to ensure it isn’t lost. I contacted Derek to make sure he was alright with this, and he happily said yes. While his car is an S52 M Roadster, all the same steps apply to my S54 M Coupe. The same steps can also be applied to the E36 which differs very little and the E46.. okay really any manual BMW of the era. The only minor difference is the exhaust pipe setup. This guide is presented “as is” with only formatting changes to fit my site. Thanks again to Derek for such a detailed and well written guide. 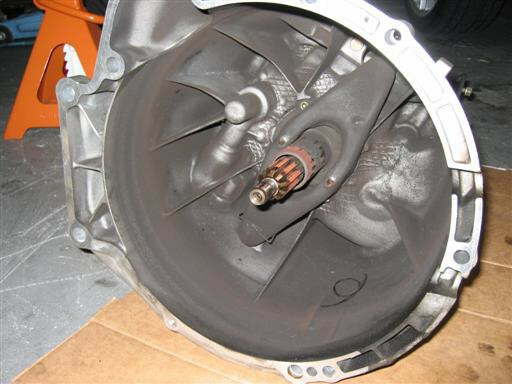 This guide covers the process of removing the Z3 transmission for the purpose of servicing and/or replacing the clutch and related items. 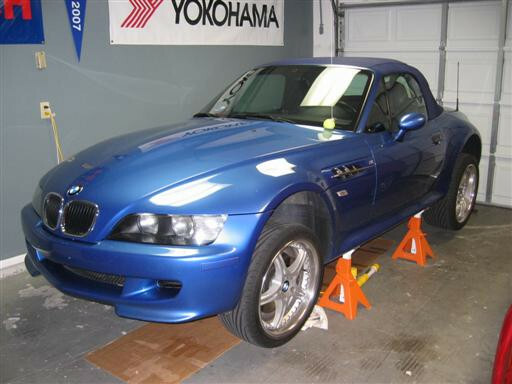 This guide specifically covers the process on a 1998 M Roadster, however, the process is nearly identical for all Z3s and many E36s.Torque specs have been intentionally omitted because of possible differences.Please refer to the Bentley manual for the values specific to your model. This guide is offered as-is, and the author accepts no responsibility for damages or losses resulting from the use of it. Step 1: Lift the car. Step 2: Prepare all bolts that are to be removed. Step 3: Remove exhaust center pipes. 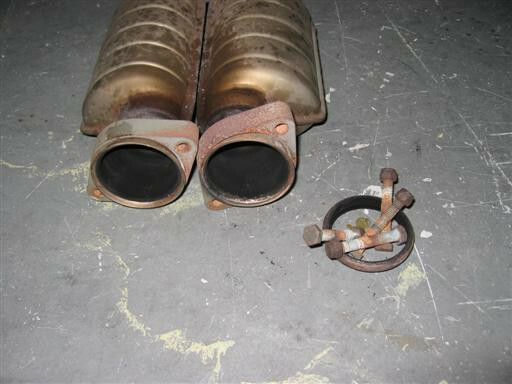 Step 4: Remove exhaust heat shields. Step 5: Disconnect drive shaft and remove guibo. Step 6: Remove shifter selector rod. 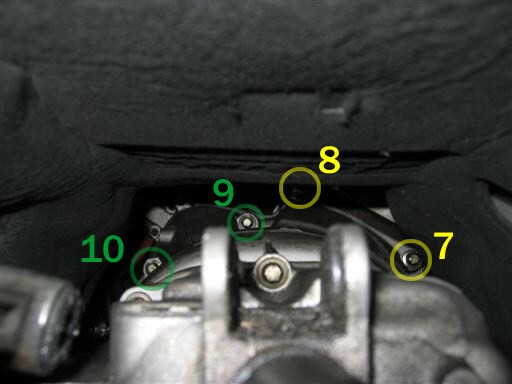 Step 7: Lower rear of transmission. Step 8: Disconnect backup switch. Step 9: Remove clutch slave. 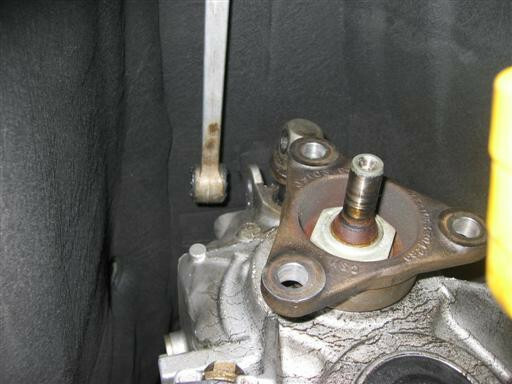 Step 10: Disconnect shifter carrier rod. Step 11: Remove bell housing bolts. 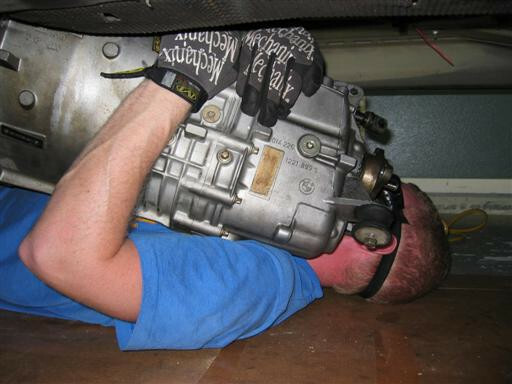 Step 12: Remove transmission. 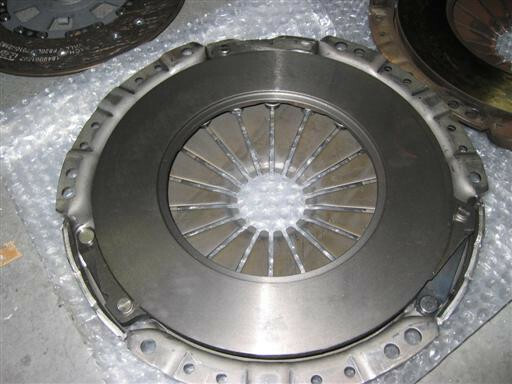 Step 13: Remove pressure plate and clutch disc. Step 14: Remove bell housing internals. Step 15: Clean transmission. Step 16: Lube new parts. Step 17: Install bell housing internals. 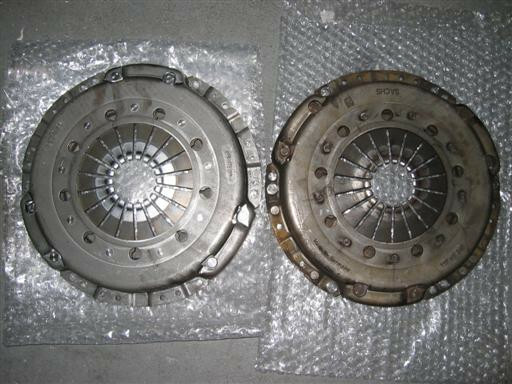 Step 18: Install clutch disc and pressure plate. Step 19: Install transmission. Step 20: Install bell housing bolts. 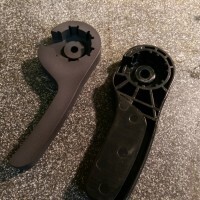 Step 21: Connect shifter carrier rod. 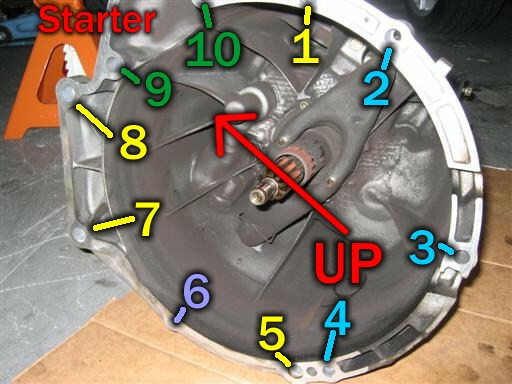 Step 22: Install clutch slave. Step 23: Connect backup switch. Step 24: Bolt up transmission mount. Step 25: Install shifter selector rod. Step 26: Install guibo and attach drive shaft. 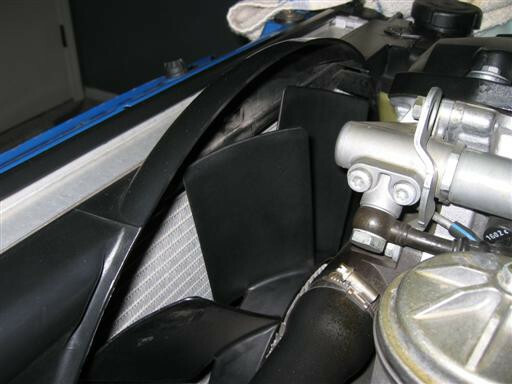 Step 27: Install exhaust heat shields. 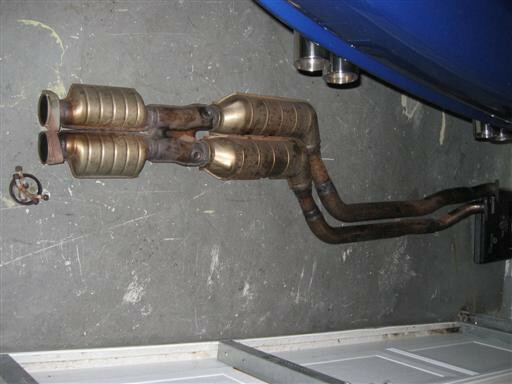 Step 28: Install exhaust center pipes. Step 29: Lower the car. this guide, as they may vary between different models. I have, however, used the offical names whenever possible so that it will be easier for you to look up those numbers on www.RealOEM.com. External Torx sockets are sometimes known as “inverted”, “female”, or “outside” torx by different manufacturers. 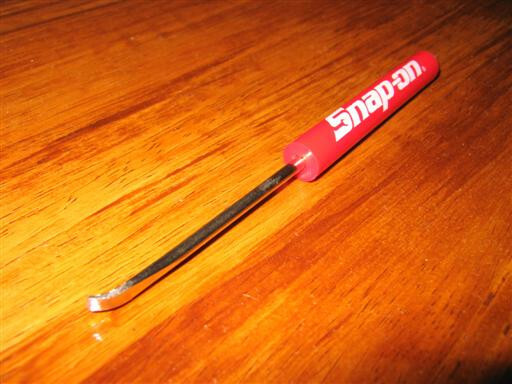 Most sets will include the E12 and E14 that you need, but only Snap-On offers the E11, and only in their large set or by itself. 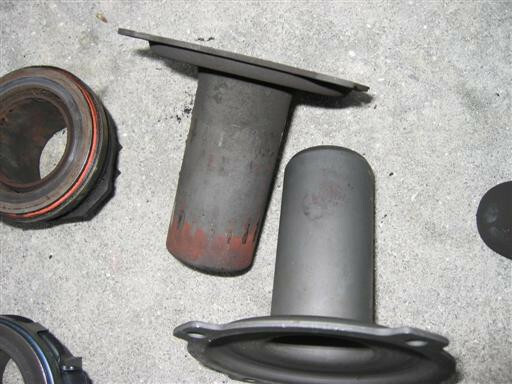 This is an excellent time to replace your guibo and transmisison mounts, if they are original or have a lot of mileage on them. They are inexpensive and have to come off anyhow. Don’t forget the PB Blaster. WD40 is NOT an equivalent. Blaster can get you out of a lot of binds in this job. Have several jacks on hand. I find that bottle jacks are really convenient for lifting the transmission and motor without getting in the way too much. An extra set of hands is invaluable at times. Have a buddy near by, even if for no other reason than to have them call 911 when you drop the transmission on your face. Step 1: Lift the car. 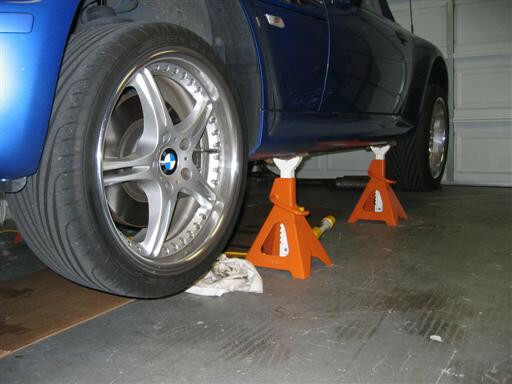 You will want as much clearance as you can get, so put the car up as high as you can on sturdy, stable jack stands. I used 6-ton stands for their larger bases. Place the stands under the factory jack pads. I ended up with around 18 inches of clearance under the car, due to limitations of my floor jack. Being a fairly small guy, however, was perfect for me. 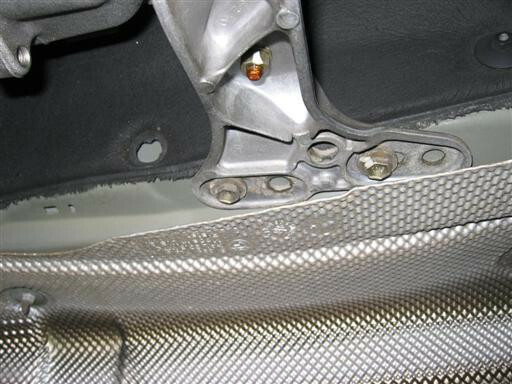 Be warned, you will not be able to get the transmission out from under the side skirts with less than that clearance. Step 2: Prepare all the bolts that are to be removed. 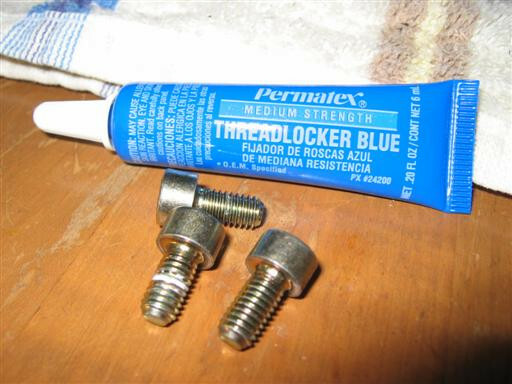 Spray PB Blaster on every nut and bolt (front and back, when possible) that you will need to remove. This lessens the likelyhood of rounding or breaking bolts. The exhaust bolts may need to be sprayed several times. Give the nuts/bolts a good half hour to soak before working on them. Step 3: Remove exhaust center pipes. X-brace. Take your time and wiggle the pipes free and set them some place out of the way. 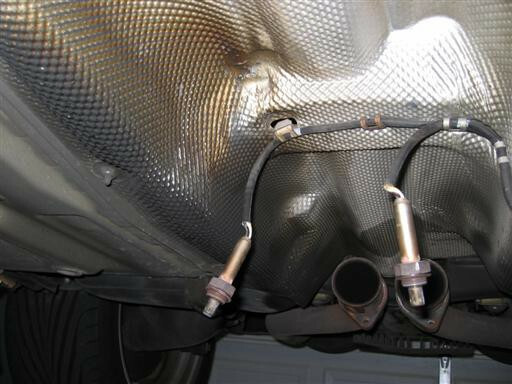 I chose to route the wiring for the O2 sensors up towards the front of the car to keep them out of the way.As a side note, the replacement nuts for my mufflers were copper, whereas the originals were not. They function the same, but this was the first of many design revisions I noticed along the way. Step 4: Remove exhaust heat shields. be careful with them. They are held in place by round, stamped, “nuts”. You can remove these easily with a 10mm socket. Please ignore the O2 sensors in the 3rd picture. I didn’t take mine out in the way I described in step 3. Step 5: Disconnect drive shaft and remove guibo. 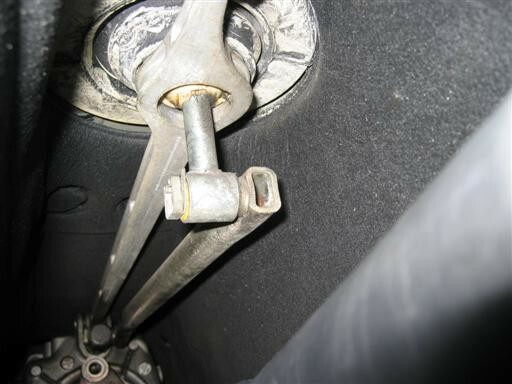 You will want to have the parking brake disengaged for this, as you will need to be able to turn the drive shaft to access all the nuts and bolts. 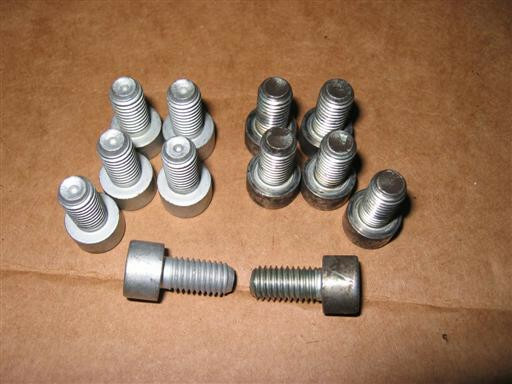 The guibo bolts and nuts are 18mm and are torqued at around 75 ft-lbs, so long wrenches will help. Remove the 6 nuts and bolts. 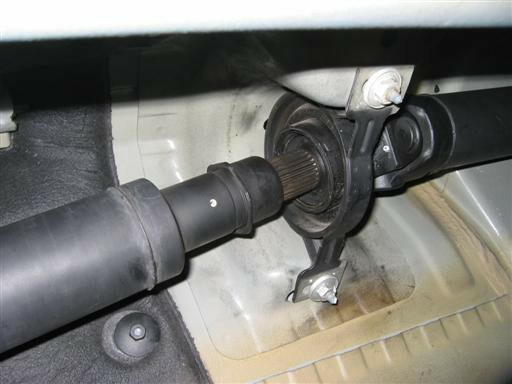 When they are removed, you will be able to slide the drive shaft back about an inch. The spline that the shaft slides back on is shown below. You will need to wiggle the drive shaft and guibo around to pull the guibo free. 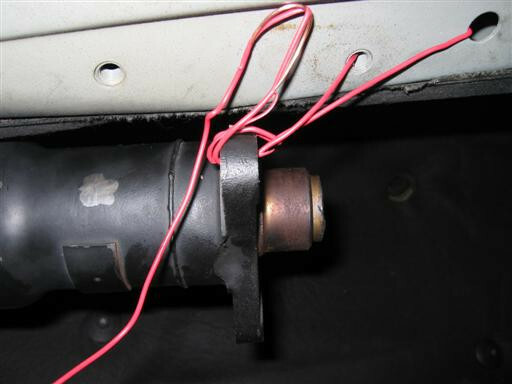 Once free, secure the driveshaft out of the way with some stiff wire. I used a couple mounting holes in the undercarriage. 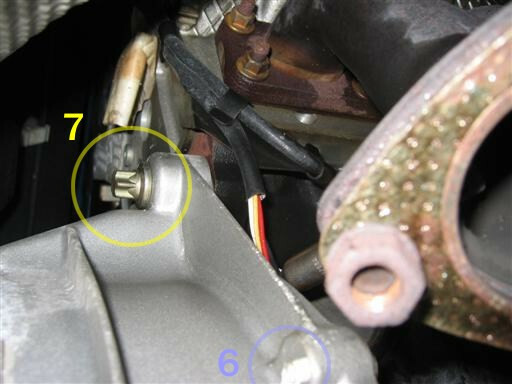 Step 6: Disconnect shifter selector rod. 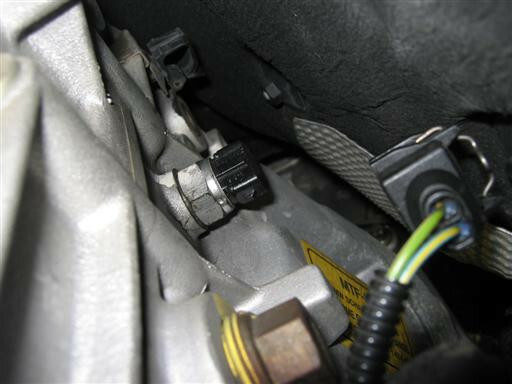 The shifter selector rod connects to both the shifter and the transmission via pins. These pins are held in place with c-clips, as shown below. The c-clips are a bear to get out, but are a little easier with the right tool. I bent up a small screwdriver to give me a little lip I could hook onto the clip and pull it off with. You can also use an offset screwdriver.Just pull the clips off and the pins will slide out with a little wiggling. Each pin has a pair of thing, yellow, washers that go on either side of it. Be sure to keep track of those for reassembly. 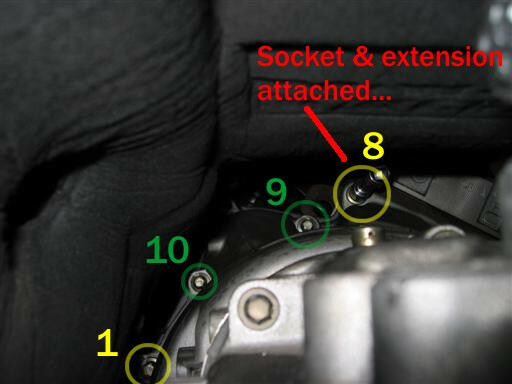 Also, take note of the position of the selector rod and the location of the bend in it. 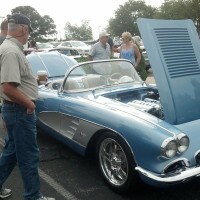 The rod should go along the passenger side and the bend should be nearest the transmission. 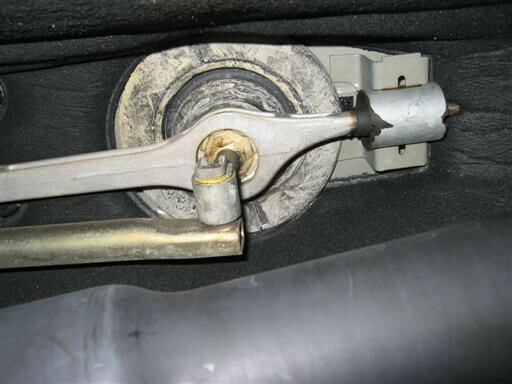 It is possible to put the rod back in wrong, and it will cause problems. 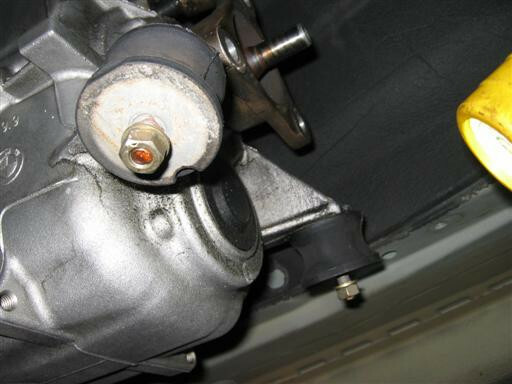 Step 7: Lower rear of transmission. above. As the transmission lowers, the engine tilts back as well. 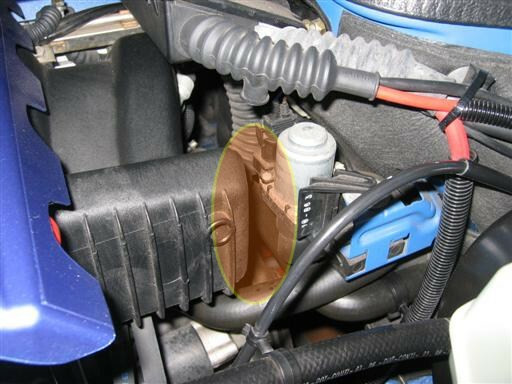 If you tilt the engine back too far, the intake manifold will hit the heater valve behind it, highlighted below. 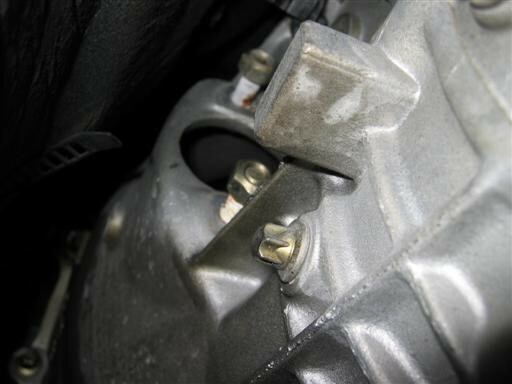 Lower the transmission as far as you can without letting the intake manifold contact the heater valve. Step 8: Disconnect backup switch. transmission. Tie the harness out of the way somewhere on the driver-side. Step 9: Remove clutch slave. 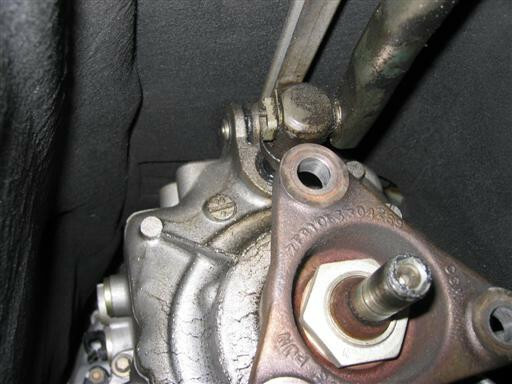 The clutch slave cylinder is held to the transmission by two nuts. 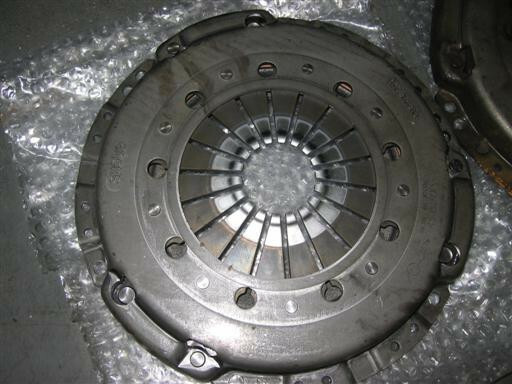 The clutch slave is also under a small amount of tension because of the hydraulic system. A long extension will give you easy access to both nuts and allow you enough room to turn a ratchet. Tie the slave cylinder up some place out of the way with some stiff wire.WARNING: Do not press the clutch pedal FOR ANY REASON with the slave cylinder removed from the transmission. 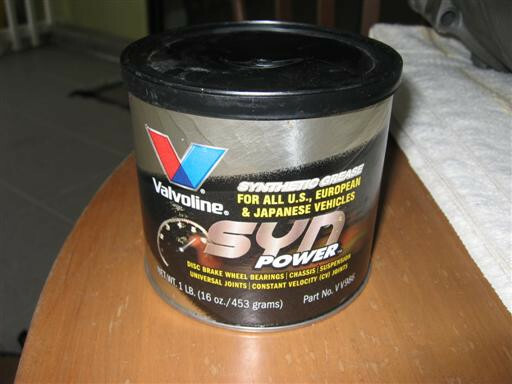 This will explode the cylinder and make quite a mess under the car. 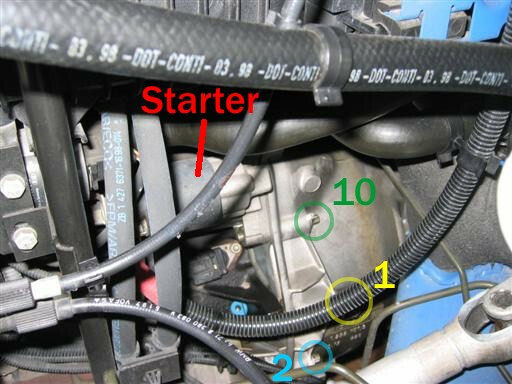 Step 10: Disconnect shifter carrier rod. hand on it. Just flip the clip up (vertical), and slide the pin out on the driver-side. 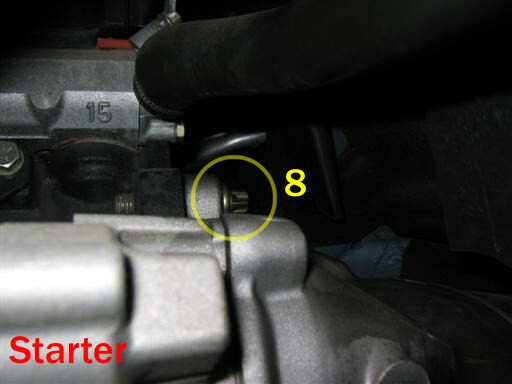 The carrier rod will now be free of the transmission. 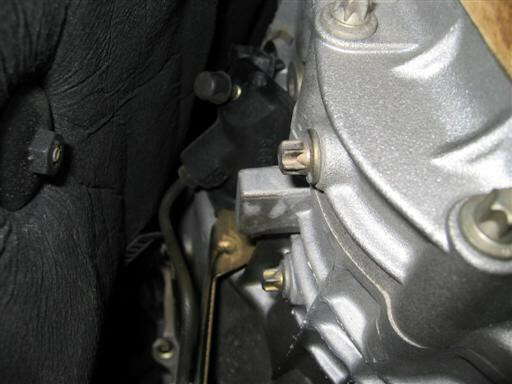 You can leave the carrier rod connected to the shifter and carrier bearing in the rear, as it will be largely out of the way for the rest of the operation. Step 11: Remove bell housing bolts. 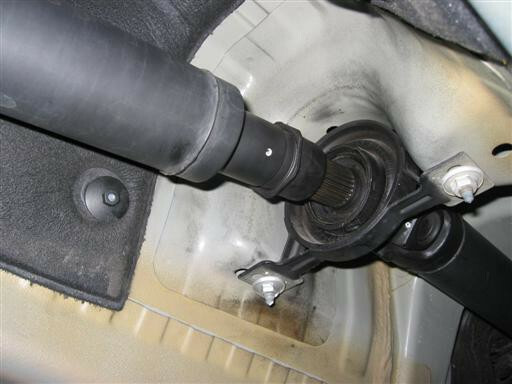 Ensure that both the transmission and the front of the engine are well-supported. 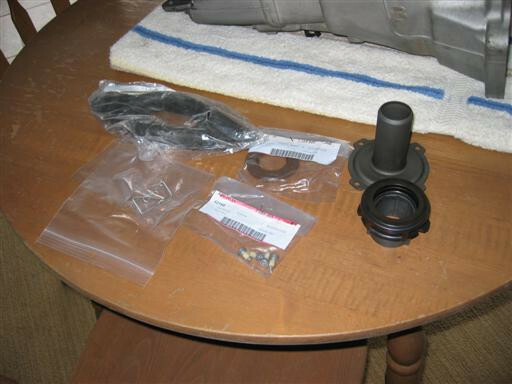 When the transmission comes off, the motor will be front-heavy and will rock forward.Now remove the bell housing bolts. There are 10 total. 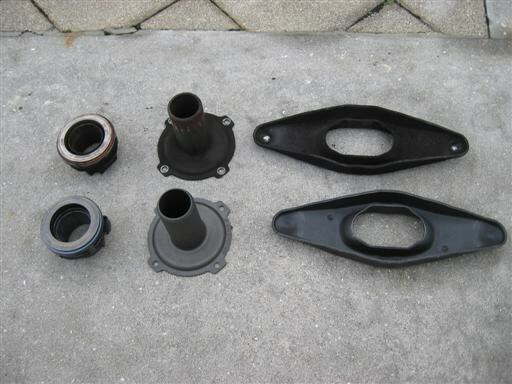 4 large E14 (2 short, 2 long), 2 medium-sized E12 (holding the starter), 3 small E11, and 1 tiny 10mm hex. 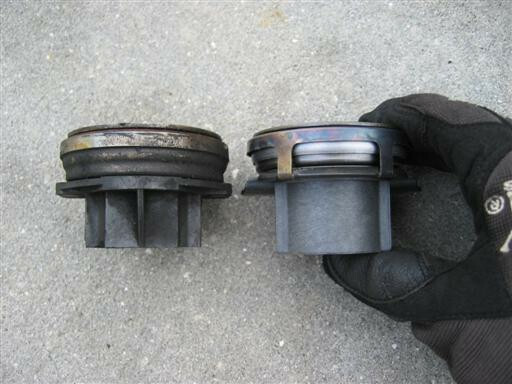 You can remove these in any order that suits you, since the transmission and engine are being supported by jacks, and the transmission is not going to come off on its own. I chose to remove the bolts in order of size, starting with the small ones. I left the #5 bolt in for last, as it was easily accessible. 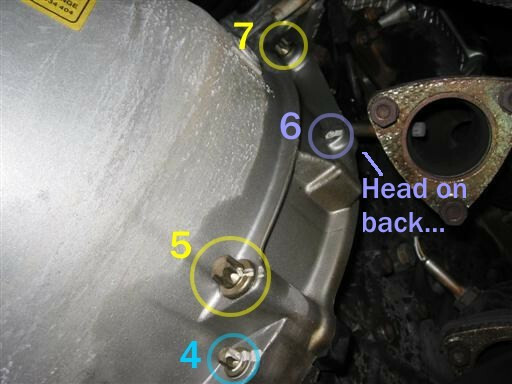 Make sure to take note of where these bolts came from as you remove them, in case yours differ from my drawing. 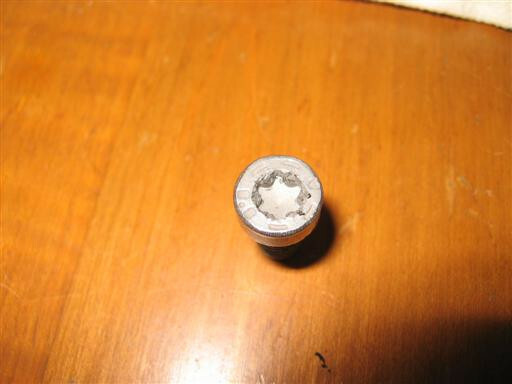 They will only go back in correctly in one place, however.You will need long extensions for many of these bolts, though I didn’t find any to be too hard to get at. The #8 bolt is a bit tricky, but I was able to get it using several straight extensions and a short wobble extension. I only needed the wobble extension because I needed an extra degree or two of angle on the extension to get the socket fully seated. I highly recommend using 1/2″ drive extensions where possible. 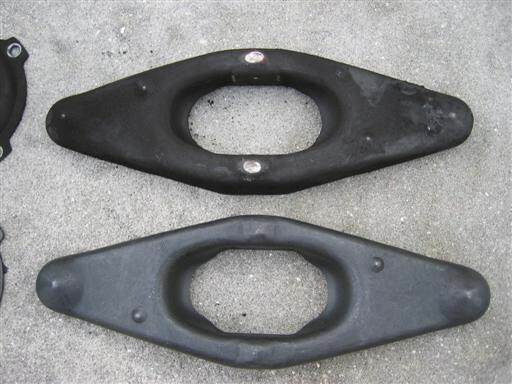 They will flex less as you torque on them, and since you will be using long extensions, this will be very noticeable. 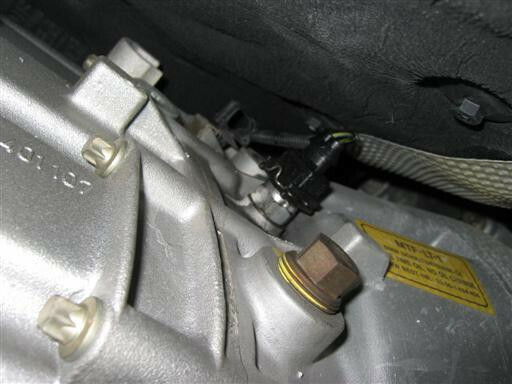 An extra set of hands to align the sockets from the engine bay is extremely helpful here.If you get stuck fighting a bolt, take a break, spray it down with some more Blaster, and go back at it in 20 minutes. Fighting corroded bolts is a good way to hurt yourself or break a bolt. 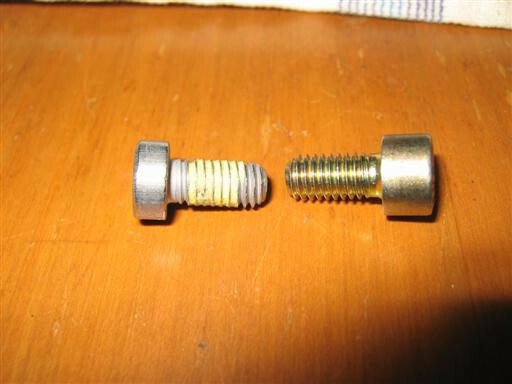 The colors in the photos below indicate to the size of the bolt. Yellow is E14, green is E12, blue is E11, and purple is 10mm hex. Double-check that the engine and transmission are supported. 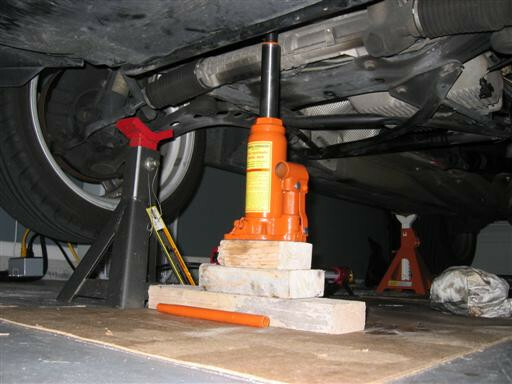 If you are using a transmission jack, it should already be in place and supporting the transmission. I didn’t use one. Also make sure to support the front of the engine. 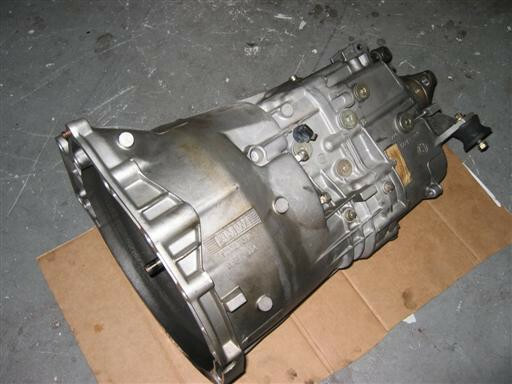 When the transmission is removed, it will be unbalanced and rock forward. 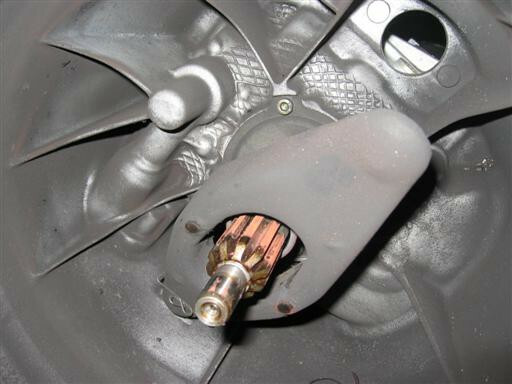 When it does that, the radiator fan will come into contact with the radiator. It may not cause damage, but those are two components that I didn’t want to have to replace because of a mistake.With all the bell housing bolts removed, the transmission is ready to come out. Mine was stuck to the block, however. I gave the edges of the bell housing a good spray of Blaster and let it sit for a bit. I then placed a small bottle jack (shown in several photos) between the edge of the bell housing (near bolt #6) and the front crossmember. I then extended the jack slowly until it began pushing the transmission away from the block. Once I had a small gap around the bellhousing, I was ready to go. I didn’t have a transmission jack, only had a crummy floor jack. I found that it just got in the way when wiggling it free. So… I lowered it by hand, as shown below. I don’t recommend this for everyone, since the transmission is around 75 pounds and has many protrusions to injure you with. 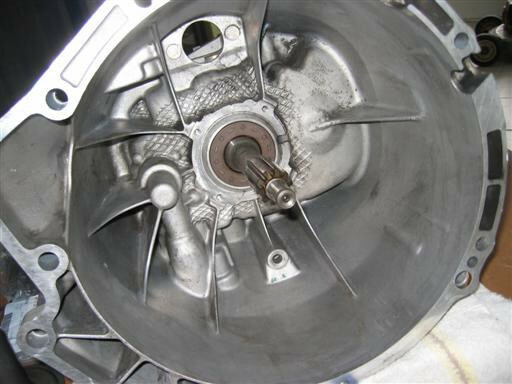 The rear of the transmission will need to be angled down to clear the transmission tunnel after the input shaft is removed from the clutch/pressure plate assembly. 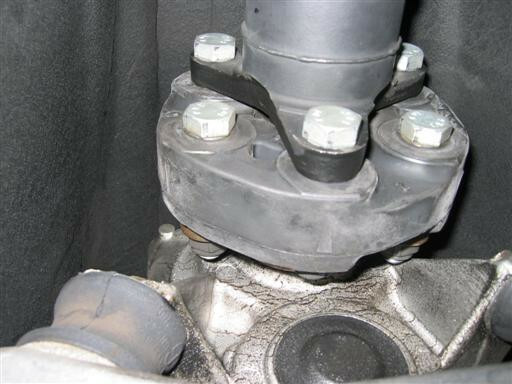 Be very careful not to let the weight of the transmission hang on the input shaft at any time. 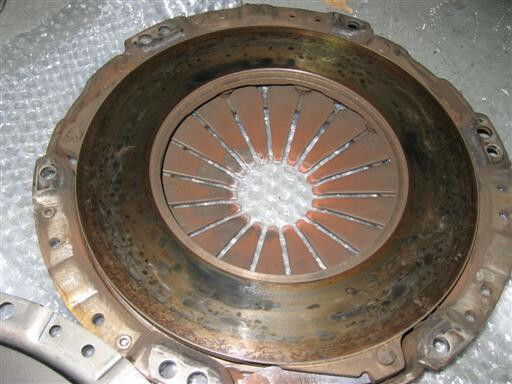 This can ruin bearings in the transmission, as well as the pilot bearing in the crank. Lower the transmission and slide it out from under the car. Be careful not to drop it. There are plenty of parts that seem like a good smack might cause some cracking. 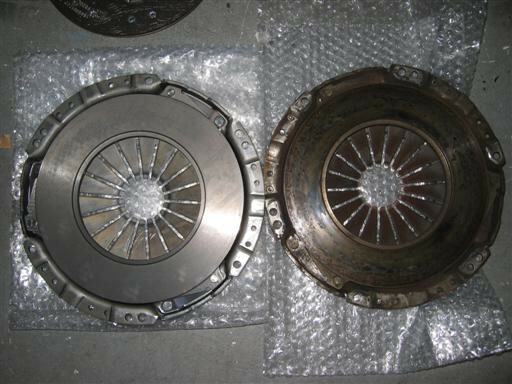 Step 13: Remove pressure plate and clutch disc. 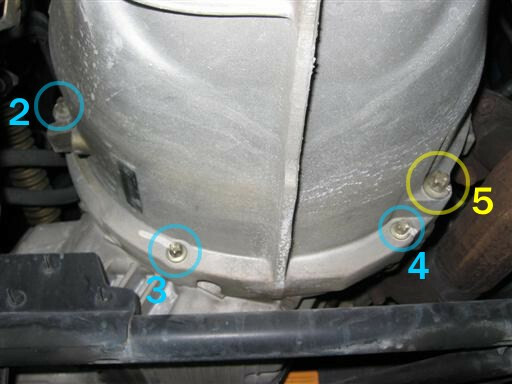 Remove the 6 6mm hex bolts around the perimeter of the pressure plate. The plate is held on with a friction fit from 3 posts that pass through the pressure plate from the flywheel, so it will not fall off on you.I get the pressure plate off, I carefully pried it away from the flywheel with a long, slotted screwdriver. Do this a little bit at a time and work around the pressure plate evenly. 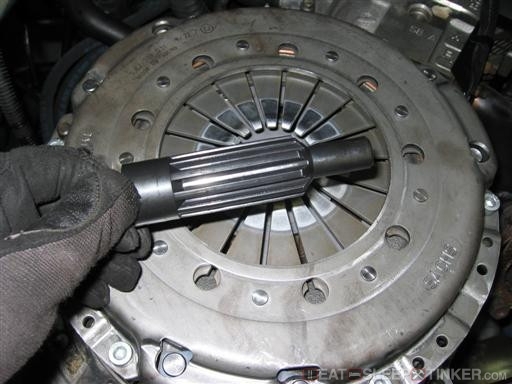 Now is a good time to insert your clutch alignment tool into the clutch disk. 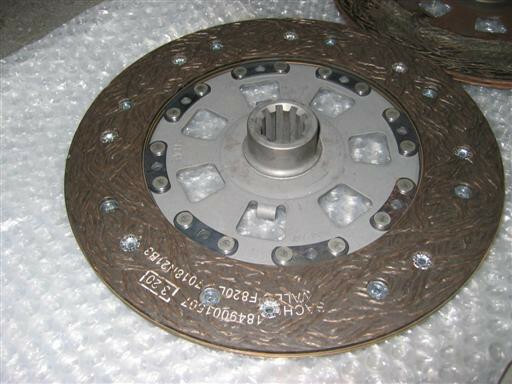 If you don’t, the clutch disk will fall out when you pull the pressure plate free. You would also be wise to wear a dust mask and goggles, if you aren’t already. 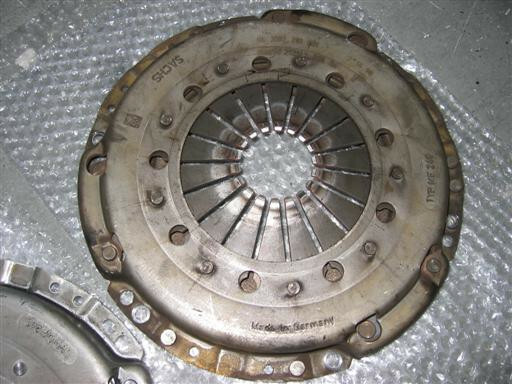 There is plenty of clutch material sitting inside the pressure plate waiting to fall out on you. 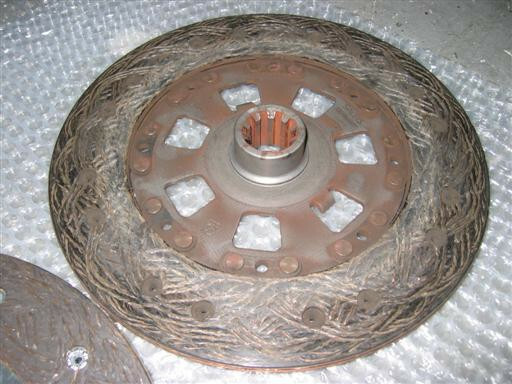 There is often asbestos in the clutch material, so you don’t want that in your lungs. Step 14: Remove bell housing internals. 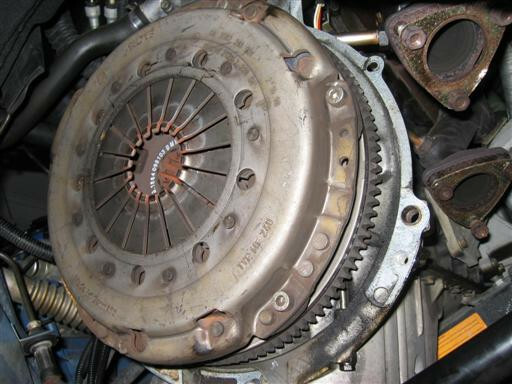 The clutch bearing will slide right off the input shaft of the transmission, if it didn’t already fall out during the transmission removal. 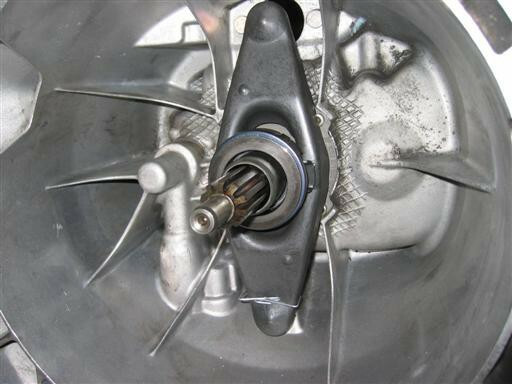 The clutch fork is held in place by a spring clip, which attaches itself to a pivot ball. The pivot ball itself is just friction-fit into a hole in the transmission casting.With the bearing and fork removed, you will now need to remove the bearing guide tube. This is the tube that the throwout bearing slides on and goes around the input shaft. As you can see, mine had some obvious wear. The tube is held in place by 4 5mm hex bolts. This step isn’t terribly necessary, but I couldn’t bring myself to put the transmission back on without cleaning all that clutch material out of it. Brake cleaner and some rags will work wonders. Step 16: Lube new parts. You want to be very frugal with the amount of grease you use anywhere in the bell housing. Just a very light film is sufficient. 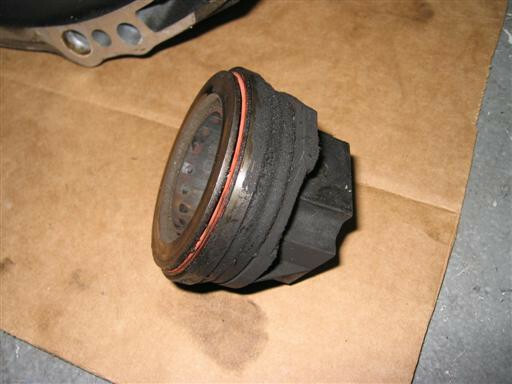 Using too much can result in grease being slung around in the transmission, gather clutch material (causing wear), or get onto the clutch itself. 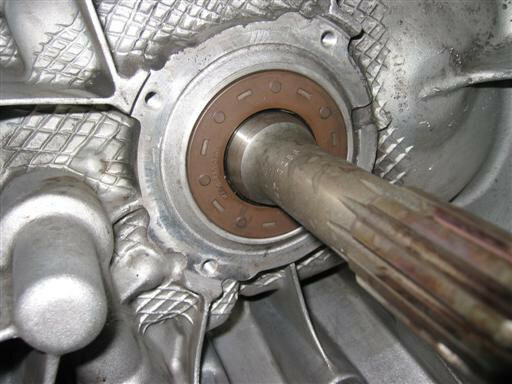 All of those are to be avoided.Apply a very light film of grease to the input shaft and splines, as well as the outside of the bearing guide tube, the tip of the pivot ball, and the contact points on the clutch fork. The wear points on the fork will be clear in the next step. Step 17: Install bell housing internals. fork to the pivot ball with the spring clip.You can now slide the throwout bearing onto the bearing guide tube. 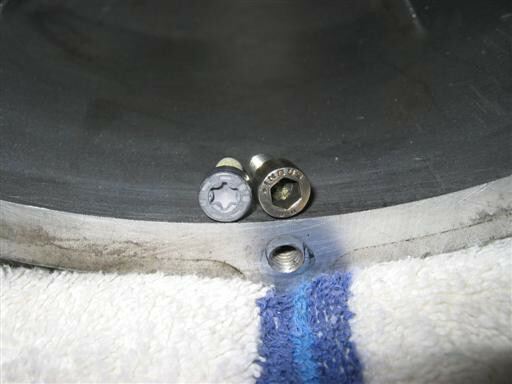 Make sure the two tabs on the bearing line up with the contact points on the clutch fork. You can see the fully-assembled unit below, as well as the spot of grease on the back of the clutch fork through the slave cylinder hole. 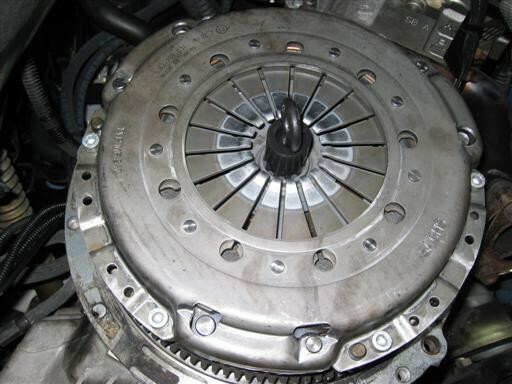 Step 18: Install clutch disc and pressure plate. 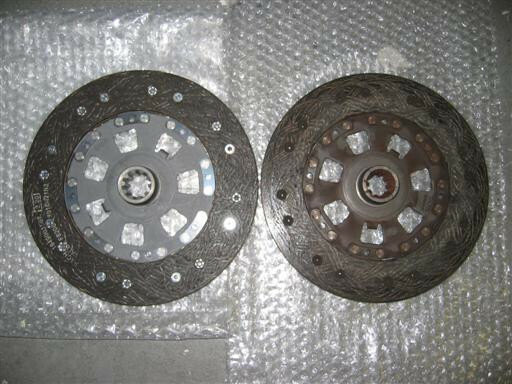 replacement clutch disc will be market with something saying “transmission side” to show you which side goes towards the transmission. Slide your alignment tool into the clutch disc and then slide the alignment tool into the pilot bearing in the center of the flywheel. 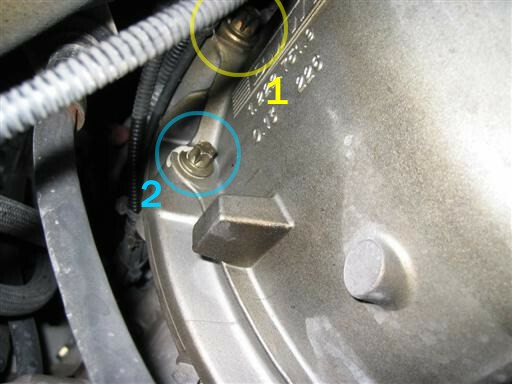 Install the pressure plate over top of the clutch disc and alignment tool. You may need to get the pressure plate a few light taps with a mallet to get it settled in the flywheel posts. Once the pressure plate is settled on the posts, install the 6mm hex bolts finger-tight. Tighten and torque the pressure plate bolts evenly, in a “star” pattern. You may now remove the alignment tool. I applied a very light film of grease to the outside edge of the clutch disc spline to help when inserting the transmission input shaft. This may not be necessary. up, or the bell housing will never mate up to the block. Once the dowels are aligned, the transmission can be pushed tightly against the block.Support the transmission with a jack and immediately move onto the next step. Step 20: Install bell housing bolts. 10mm hex bolt on the passenger side last. 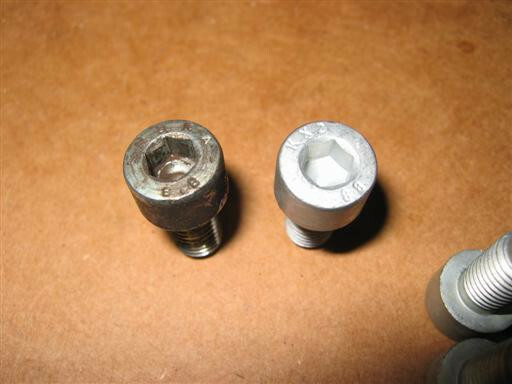 The hex bolt has a very small torque spec, so be careful not to strip it. Step 21: Connect shifter carrier rod. Lube the carrier rod bushing liberally and attach it to the transmission with the pin/clip. 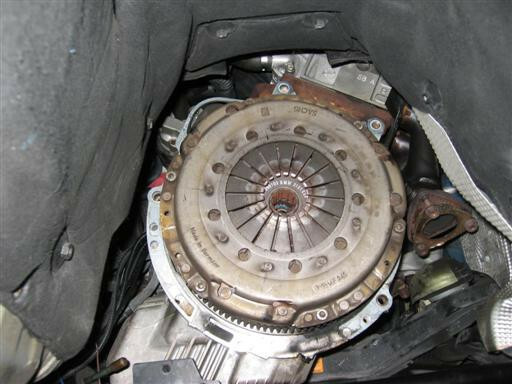 Step 22: Install clutch slave. 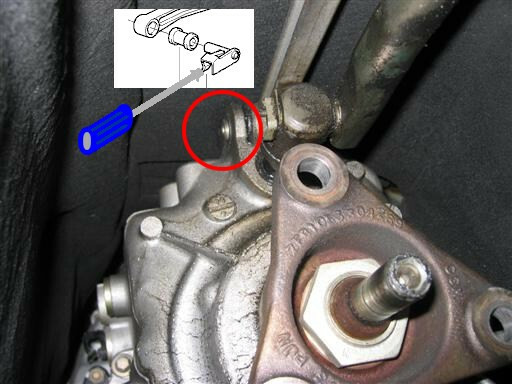 Re-install the clutch slave cylinder by carefully aligning the pin so it seats itself in the indent in the clutch fork. As you can see in the photo below, it a pretty big target to hit, so you should be OK as long as you insert the cylinder into the housing straight. You should have a bit of pressure fighting you when pressing the slave cylinder forward onto the threaded studs. If you don’t, you are not aligned correctly. If you don’t think you have the pin seated correctly, pull it out and do it again. Be certain. Hold the slave in place with one hand and get the nuts started on the threaded rods with the other. This is easier said than done in the transmission tunnel, but is made much easier by the transmission still being lowered slightly. 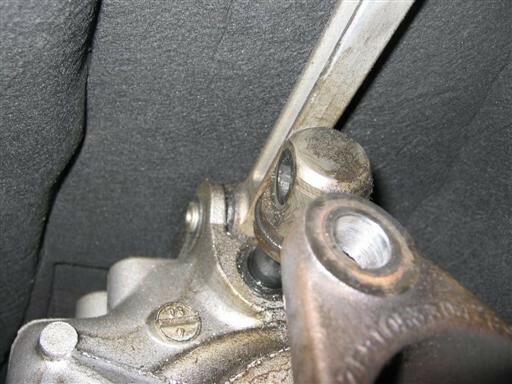 Torque the two nuts to spec.Now, you need to test your clutch pedal to make sure it is seated correctly. slowly, and gently, press the clutch pedal to the floor. If at any time the clutch doesn’t feel right, stop and re-check the slave cylinder. 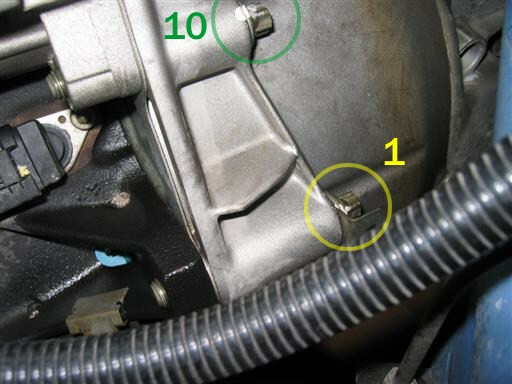 If it isn’t aligned correctly, it will not be pressing on the clutch fork and will likely burst the seal on the cylinder and drop the pin into the bell housing. You do not want this to happen. Step 23: Connect backup switch. Route the backup switch back over top of the transmission and into the two plastic clips. Plug the connector into the switch. 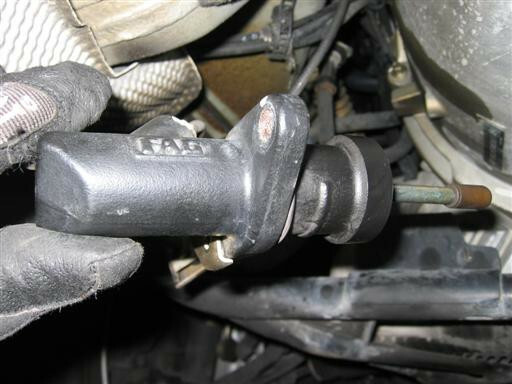 Step 24: Bolt up transmission mount. and torque them to spec. 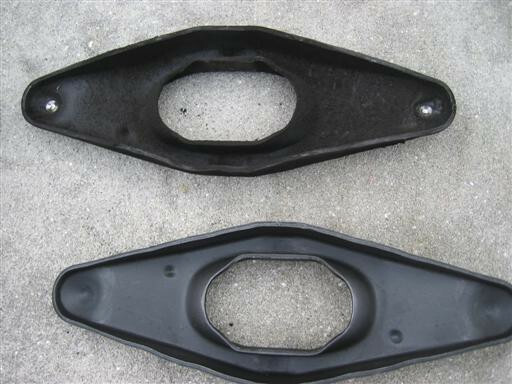 The transmission mounts should already be in place between the transmission and transmission brace. Ensure that they are aligned with the nubs on the brace. Next, lower the transmission until it is resting entirely on the transmission mounts. Now torque the transmission mount nuts to spec. 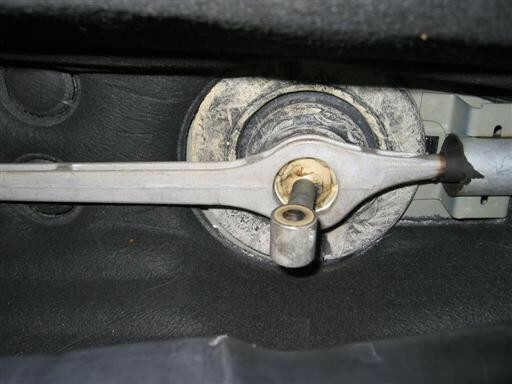 Do not over-tighten the nuts on either side of the transmission mounts, or you will get a lot of vibration when driving. Step 25: Install shifter selector rod. Lube the connecting points for the shifter selector liberally on both ends. 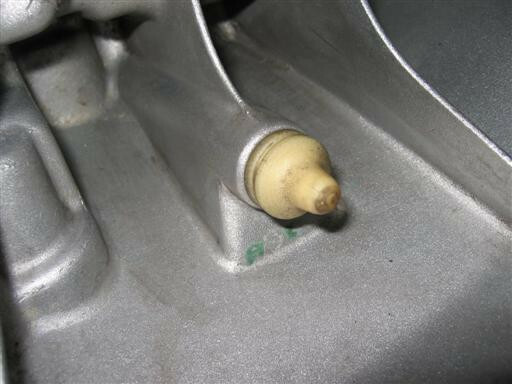 This is also a good time to lube the shifter where it pivots in the carrier rod. Install the shifter selector on the passenger side of the car, with the bend closest to the transmission. 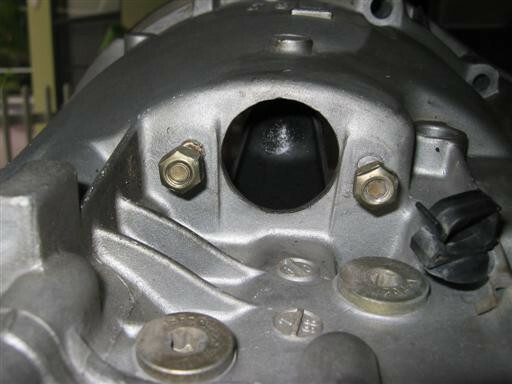 If the selector rod is installed incorrectly, it will contact the guibo when the driveshaft spins. Be sure that there is a yellow washer on both sides of the connecting points, and slide on the c-clip. Step 26: Install guibo and attach drive shaft. Clean and re-grease the center sleeve on the driveshaft. 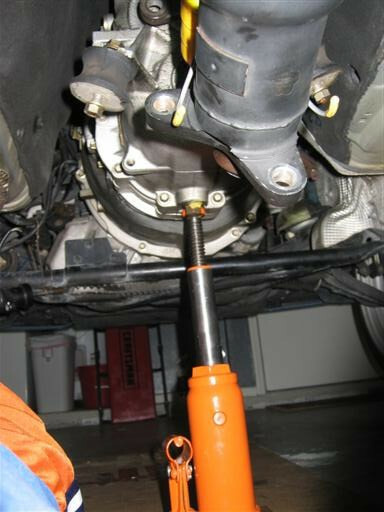 Re-install the guibo and attach the driveshaft using the 6 nuts on bolts. The nuts are one-time use, so use new ones. Ensure that the arrows on the edge of the guibo are pointing towards a flange. 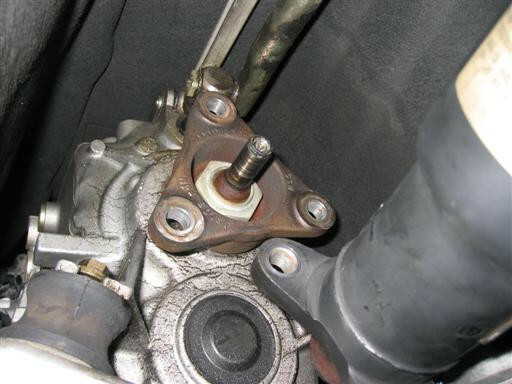 Install the bolts and torque to spec in a star fashion. 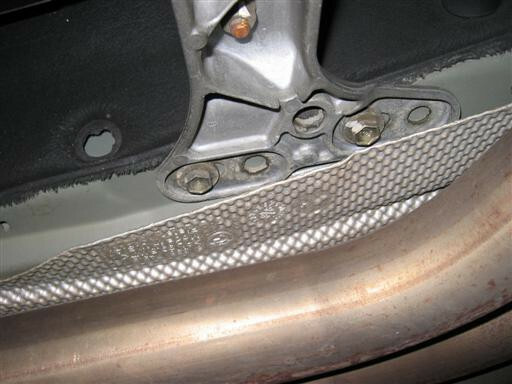 Step 27: Install exhaust heat shields. Re-install the two exhaust heat shields. First the rear, then the passenger-side. 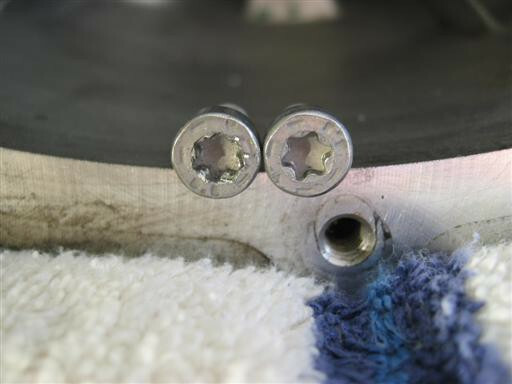 You can use a socket to tighten the washer-nuts that hold the shields in place, but use a light touch. The nuts look like they would deform/strip very easily. 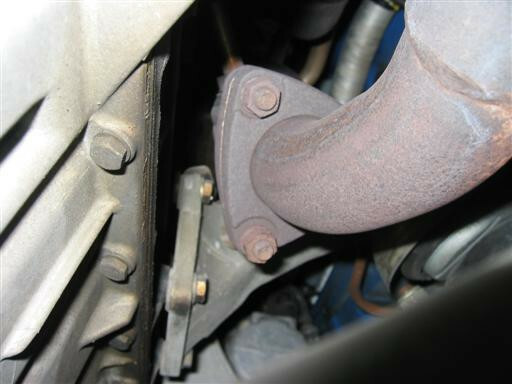 Step 28: Install exhaust center pipes. 13mm combination wrenches for this part. Interestingly, the BMW replacement nuts for these were copper, while my original nuts were steel. Yet another design change, I guess. 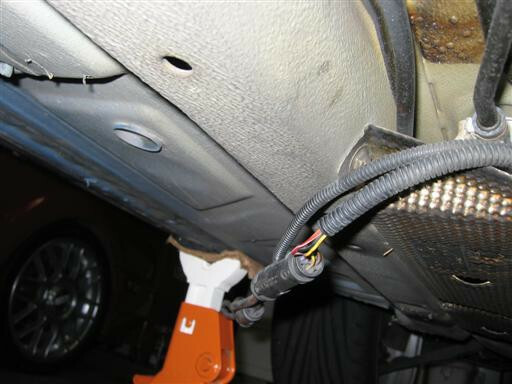 Once the rear mufflers are bolted on, you can begin routing the wires for the O2 sensors. 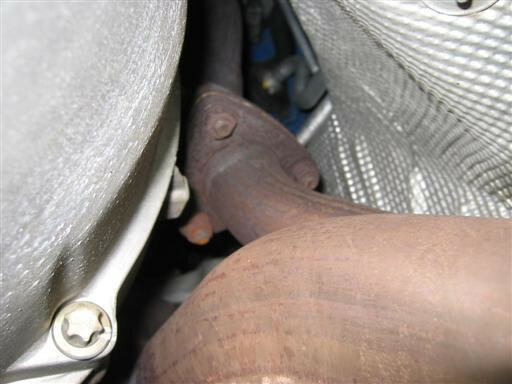 Pass them over top of the pipes, towards the driver side, making sure to clip them to the heat shield where applicable. Re-connect the sensors to the main harness and clip the round connectors to the heat shield. Now move up to the front of the car to attach the front of the pipes to the headers. Be sure to replace the copper gaskets here, as they are one-time use. Wiggle the pipes into position and get a nut or two started. I found this to be much more awkward than removing them. Once you get all 6 nuts on, torque them to spec. Carefully lower the car off the jack stands.